Poplar Harcas Resident Engagement Strategy Part 1. We want to remind everyone that the Poplar residents’ blog is still active and wants to hear from you! We want to remind everyone that the Poplar residents’ blog is still active and wants to hear from you! Go to www.poplarblog.co.uk to see what your neighbours are talking about. Members of the Bromley by Bow Community Organisation (BBBCO) set up the blog to get local residents talking and interacting with one another. Poplar Blog is a resident run blog and designed to be a community hub where you can find information on services around Poplar, share and discuss ideas as well as the opportunity to network. The site enables you to write and submit your own blogs as well as comment on what others are blogging. · Votes/polls and much more! They even make your introduction to blogging about issues that effect you in Poplar, by giving you a page to ease your discomfort “Get Involved” that tells you to register. “But where for gods sake?” Unless I’m a complete durbrain and dont understand the search facilities, then where is the register button? Using zee powers of zee interwebz I cleverly concocted zee cunningz plan, if youz type “register site:poplarblog.co.uk” into zee googlez boxes, zis will surely find zee register buttonz? It seems I’ve been told that you have to apply to the Bromley By Bow Centre or Poplar Harca to apply for registration, taking your name, address, and a friendly home visit from zee gestapo before being stripped searched, anally probed, implanted, marked and branded before being allowed to blog on the site. Even then, it has to pass stringent Corporate guidance policies that basically mean you have to be an employee, or actually be recieving some kind of renumeration/charitable donations in some way from Poplar Harca and therefore follow company policy before being allowed to blog. Tower Hamlets Homes Residents Involvement Strategy?? Upon perusing the Tower Hamlets Homes website today I was finally glad to see that THH had found it possible to at last consider creating a true Resident Involvement Strategy. Which tells you that at the most recent meeting of the Tower Hamlets Homes Board on the 12th October, that board members discussed the findings in a document called “On Being Resident Led”. This report carried out by Campbell Tickell and funded by Tower Hamlets Homes at a cost of around £3,500 pounds, with funds from the public purse, is about the need for resident involvement. The problem is, is that Tower Hamlets Homes are refusing to release the contents of this publicly funded report into resident involvement. Its so secret that they have done their utmost to conceal not only the contents of this report, but also any minuted discussion of the report itself. The meeting on the 12th October 2010 is not even listed as a meeting of the board on its publicly available page on Tower Hamlets Homes website dedicated to meetings of the board. What seems even stranger is that there were two meeting either side of this meeting of the 12th October 2010, these were held on Wednesday, September 29th 2010 at the Toby Club, Vawdrey Close, E1 4UA and also Tuesday, November 9th 2010 at Keddleston Community Centre, Hollybush Gardens, Bethnal Green, London E2 9RP, yet the agenda for the November Meeting does not even list the previous October 12th Meeting. In fact they list the minutes of the September meeting for confirmation in Agenda Item 4. Why so secretive?, what does this report highlight? Sources within Tower Hamlets Homes confirm to me that their definitely was a meeting of the Board, as highlighted in the report “Resident Influence At Tower Hamlets Homes”, but cannot tell me anything regarding the report itself, or release it, or even give me the minutes of the October 12th Meeting of the Board. It gets even murkier, Paul Allen Head of Engagement who was at a meeting of the Residents Panel on the 21st October 2010, where this paper was finally discussed, was extremely reluctant to release copies of this paper at that meeting. In fact in the minutes of that meeting, panel members addressed the problem of being invited to a meeting to discuss the findings of this secretive paper “On Being Resident Led” without having previously been sent copies of the paper. able to have any influence or input. So where is this document? A document that discuses and apparently puts forward a Housing Association in the Borough (“well I suppose that counts out Poplar Harca“) as a model of resident involvement, and as the title of the report suggests “Being resident led”, where is it? 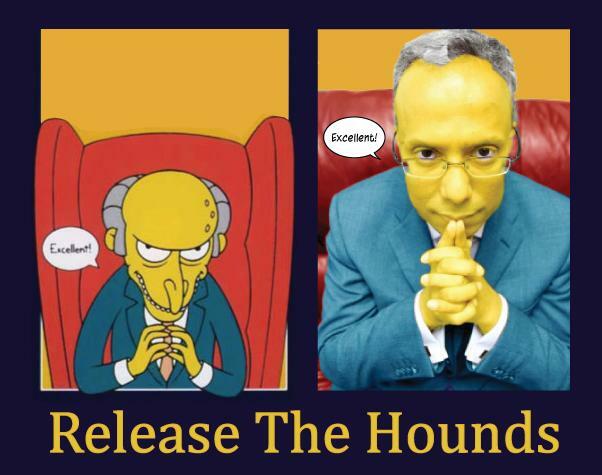 A document that THH refuse to release, paid for by your taxes, that was first talked about at board meeting that has now been deleted from all but one record, that was not even produced to a special meeting of the residents panel before being asked to discuss and vote on its findings, that has had very little public scrutiny, all supposed to be about the benefits of resident involvement. This post should go out as a warning as to what can happen when a councils planning department, environment health department, building control and corporate interests show a flagrant disregard for the law, and potentially put residents lives at risk. What I’m about to tell you, should, I hope, shock you into action yourselves into looking more closely at planning applications going through our councils planning department. As one of the pre-conditions for some development planning applications a contaminated land study is usually demanded by the council to inspect the site, evaluate any hazardous materials found in soil or water, and then propose remediation measures for removal or mitigation of the effects to human health of these materials. These Contaminated land studies, as far as I can tell, are required and have to be carried out before any development can actually go ahead. The remediation that the developers study proposes must be approved by the councils Environmental Health Officers, and then again by the Planning Team before even a shovel can be taken to the start of the development. This requirement (i suppose) is to mitigate the effects on the surrounding environment and ultimately the effect on residents surrounding the site, and including those future residents of the site itself, not forgetting the workers on the development. Recently while researching another topic of pre-conditional proceedures I’ve just discovered some disturbing information regarding one of Poplar Harca’s new build construction of Affordable Homes at their Charlesworth Terrace site. Which lies in Farrance Street E14 behind the old Langdon Park Annexe in Lansbury West. 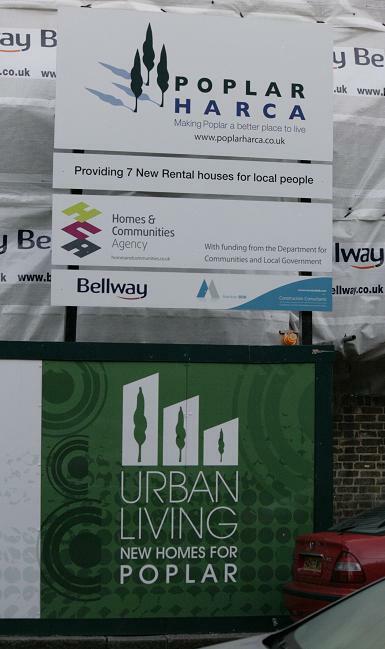 Poplar Harca joined forces with Bellway Homes to form a new partnership called Urban Living, which was set up to develop and provide affordable homes in the Poplar Area for local people. This site was funded by huge amounts of tax-payers money from the Homes & Communities Agency without any real financial risk to either Poplar Harca or Bellway Homes, you would think that they would abide by any simple rules laid out for them. 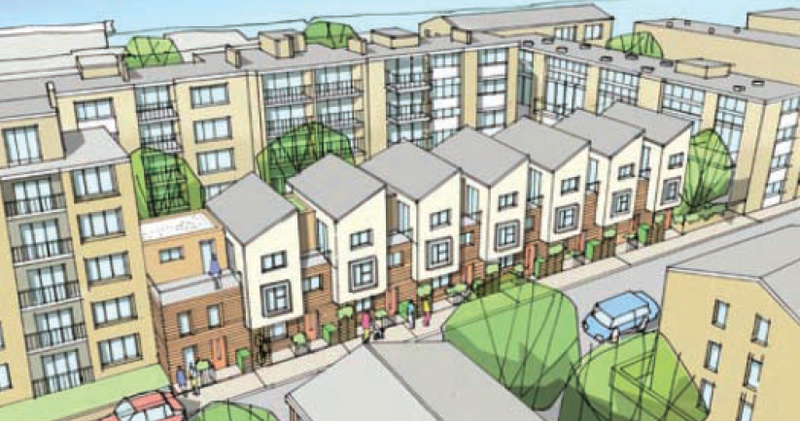 As part of its new build strategy, a proposal was put forward to develop a piece of land behind Charlesworth Terrace in E14 for 7 homes for Social Rent – Planning Application No:- PA/09/00050. This land that was once a green used by children was taken over a few years ago as part of regenerating the estate. It was promised to be returned to residents but never was. This development is twinned with another development at Shepard House in Annabel Close E14, so that between the 2 the Affordable Homes target of minimum 35% for both developments may pass. On reading the descision notice for the Charlesworth Terrace development you will notice a set of 5 conditions that must be adhered to for this development to be deemed acceptable by the council. Condition 4 of this particular development is a requirement by the partners of the development to carry out a detailed contaminated land study of the proposed site, checking to see if there are any hazardous materials present in the soil or water. The partners are then required to provide both their findings and more importantly their proposed remedial solutions to remove, contain or mitigate the potential contaminated materials. The findings of this study are then examined by one of the councils own environmental health officers who studies the findings and approves or rejects the proposed remedial solutions put forward by the submitters of the report, in this case Poplar Harcas Urban Living Partnership. “4. Development of the site shall not begin until a contaminated land study has been submitted to the local planning authority for written approval. The study will identifiy the extent of the contamination and the measures to be taken to avoid risk to the public when the site is developed. Details of this study should include. The instructions could not be more explicit, basically no development can take place until the report, its findings and the proposed solutions to dealing with any contamination are approved by the council. This is so that the council can analyse the findings themselves and get the chance to recommend any alterations to the remedial solutions to dealing with any found contamination. The intrusive investigation has identified generally elevated metal (arsenic, nickel and lead) concentrations through out the made ground across the site at levels that are likely to present a significant risk to human health. Even though remedial solutions put forward by the Environmental Site Report (Contaminated Land Study) offered a proposed solution to mitigate the effects of the contamimation, these remedies could not be carried out until the council had authorised not only the report itself, but had clarified, confirmed and ultimatly sanctioned these solutions. 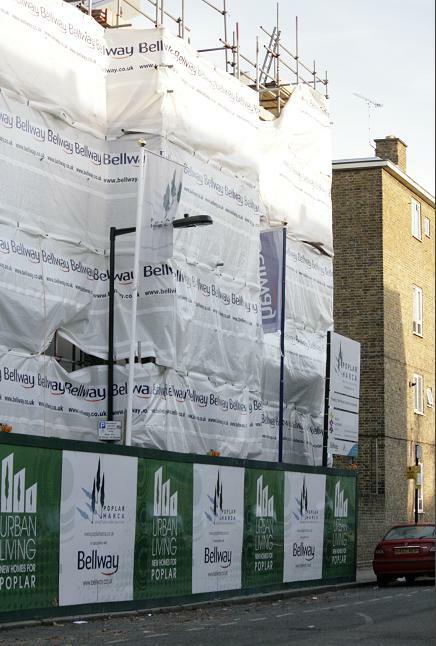 As part of the planning conditions, a submission by Poplar Harca’s partnership with Bellway Homes – Urban Living was made to the council on the 17 January 2010 for an “Approval Of Details” for the Submission of details pursuant to condition 4 (contaminated land study) of planning permission dated 17th June 2009, reference PA/09/00050. Application No: PA/10/00149 This was basically to ask permission for the council to allow them to build. On 17th September 2010, the council’s environmental health officer (Mr Felix Oku) had urged the council’s planning officers to reject the remedial solutions put forward in the study. In that response the councils planning officers (Benson Olaseni) took the advice of Environmental Health Officers warning seriously enough and duly rejected the proposed remedial solutions and the report itself in a letter to Mr Klimmeck (Urban Livings Architect) on the 17th September 2010. The thing is though that Poplar Harca, Bellway Homes or their partnership company Urban Living seemed to have taken no notice of the pre-condition of the approval of planning. Instead of waiting for the return of the report, they ploughed ahead and started building on site, significantly risking the healths of those around the site. As you can see the building by September was already 3 stories high. Residents have reported increased levels of dust in gardens, living rooms and even kitchens. One even reported this to an (Environmental Health Officer), reporting that a child had been covered in the dust playing in the garden and had been putting a hand covered in the material in their mouths asking if there was anything to be afraid of. The Officer stated that he could not confirm that there was anything to worry about. On talking to Felix Oku myself regarding the matter, he could not believe that the building had gone ahead without waiting for the approval of the planning department, his advice was explicit. That it should not start until a the council’s own remediation measures had been considered themselves. What gets me is that no one in Tower Hamlets seems to know how to respond to the question who should be enforcing a breach of these conditions. Environmental Health told me today that its Building Controls Job, Building Control then told me that it was Environmental Healths job, before finally sending me to Planning again. A planning enforcement officer finally told me that these breaches of planning conditions with regards to Contaminated land studies are going on all of the time. Larger building sites just plough through without waiting for consent to build. Nothing is ever really enforced, no buildings are ever torn down, and they have no real power to enforce any real breaches of conditions. 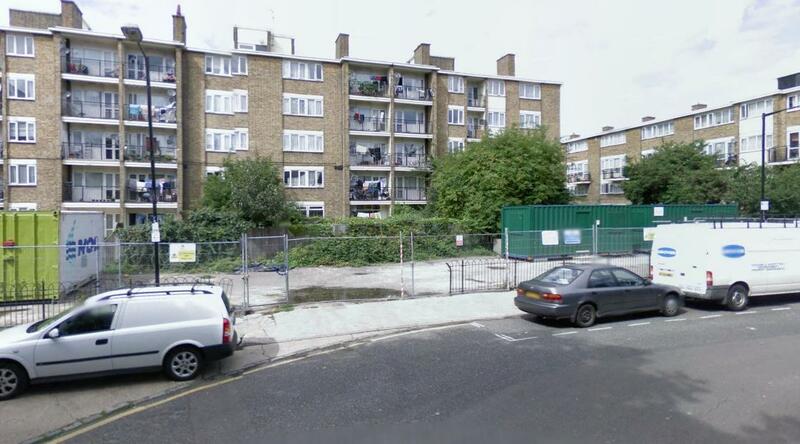 This Charelsworth terrace site breach of conditions was first reported in the 25th October and has its own case id (enf/10/00563 – 25th October 2010), and yet to this date, no investigation has even been started. Who’s really at fault here, is it Poplar Harca?, Bellway Homes?, the planning office, environmental health, building control? who?. The planning enforcement officer also tells me that once a contaminated land study has been given approval, that environment health officers job then is to keep visiting the site to ensure the accepted remediation measures are carried out. Go look at the site, by September 2010 the wooden frame was already up 3 stories high, all thats needed now is the cladding, as is the way with all wooden framed buildings. The point is Poplar Harca & Bellway Homes decided not to wait for council approval and steamrollered ahead. “We charge £65.50 to cover the cost of staff time spent searching records and preparing the response. We aim to respond to your enquiry within 10 working days. 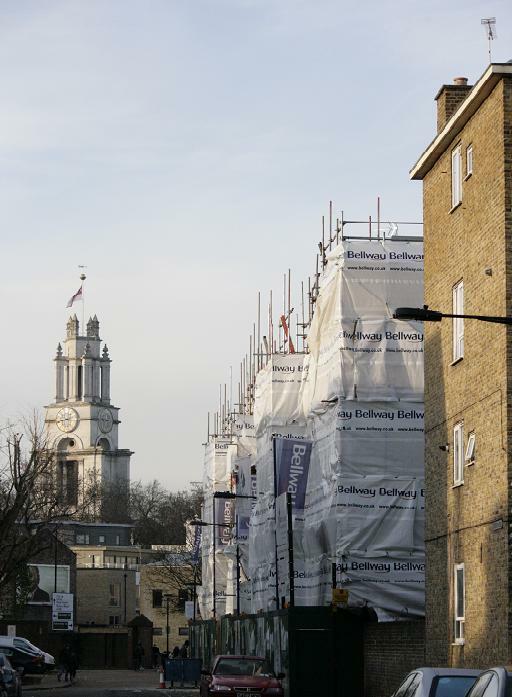 We search our records for information about contamination of the site and for past uses that may have involved contaminative processes.” – Tower Hamlets Contaminated Land Enquiries. When pointing out this curious fact about it being publically available, an environmental health officer told me that “actually its now £73 pounds to search the public register” and that if I as a concerned resident wanted to look at the public register without paying, detailing the contaminated land sites in the borough wanting to request a viewing that i should “put in a freedom of information request. Does anyone else see anything wrong here???? Our illustrious Mayor Lutfur Rahman turned up at Poplar Mosque & Community Centre Woolmore Street E14 on the Robin Hood Gardens Estate, on Saturday, Sunday & also Monday evening for over 2 hours. This mosque which is striving for larger facilities as part of the Blackwall Reach Regeneration Project has no entrance for women and obviously as a mosque is for worshipers of Islam. The thing is this was (residents tell me) the Mayors first and only visit to the estate which is now under threat from demolition. Apparently residents and the Tenants Association have been lobbying the mayor for a meeting with them, they say that he has cancelled two meetings with elected members, but then decides to call a meeting with the mosque committee which is closed to residents. Residents also tell me that on Sunday Night they felt a promise was made that the Mayor would answer peoples questions and allay their fears about their future when he was due to turn up on Monday Night. On Monday Night he turned up with his deputy Ohid Ahmed, Aman Dalvi the councils Corporate Director Of Regeneration and an entourage of other people at 6pm, staying for over 2 hours. Aman Dalvi has been deeply involved with the regeneration of the estate even before he came to work for Tower Hamlets, and accompanying the mayor, residents feel this would have been the perfect opportunity to answer questions. Apparently once the meeting was over with the mosque committee, Lutfur gave a speech to the worshipers attending, letting them know that firstly he was not here really to answer questions about the regeneration but to thank those attending for voting for him in the recent Mayoral elections. When calls were made for questions to be answered about the regeneration, those advisors who were with the Mayor kept trying to block the questions, even though the Mayor seemed happy to answer, the advisors who attended with him made it difficult for those wishing to know more. Most felt frustrated at the lack of answers, and were told that they would know more in January. No invitations were made to the wider community, and the only ones attending were the muslim male worshipers. Although this mosque doesn’t have the facilities for women to attend, muslim women on the estate are upset that the mayor doesn’t seem to want to talk to them. They also have a lot of questions regarding their future on the estate, which they now feel is being taken away from them. I’ve talked to quite a few other residents on the estate of different ethnic and faith backgrounds and all seem extremely upset that a meeting was called on their estate with the mayor and they were not invited. Now although this has been cancelled just today, why did the mayor or Aman Dalvi for that matter fail to tell those residents present at the meeting on Monday night what was going to occur tonight at full Cabinet?